Can’t wait to get back into the spring and summer clothing. It can be overwhelming to keep up with baby clothing since they grow so quickly. Having a storage plan makes it easier. I have been going through this with some clients. One thing I would add would be to consider if it will fit NEXT YEAR, especially if you have children. If the snow pants were just barely long enough on your son this year, don’t store them. He’s going to need new ones next year. Thanks for additional tip. My mind was focused on adults. Thanks for information that will help the entire family. Thank you for the reminder to launder my winter outdoor wear now, instead of discovering in the fall that it needs to be done. You’re welcome. I believe there is some information about washing body oils off clothing before storing it, so that is why I recommend washing it. But it does make it easier in the fall/winter when your clothes are ready to wear. These are great tips for getting ready for a new season. “Do you get compliments when you wear it?” is a wonderful question to ask yourself when deciding whether on not to keep something. It always puts a smile on my face when someone says that looks fabulous. I love making the fall/winter to spring/summer clothing switches for myself and clients. As you highlit, seasonal shifts are the ideal time of year to evaluate what stays and what goes. When I’m making the switch I edit the outgoing and in coming seasons. The clothing I’m ready to let go is given to family or donated. Only a portion of my closet gets cycled because pieces are suitable for all seasons. I have also found with my clients that they have a larger portion of their wardrobe that they wear year round. Perhaps it is a money saving strategy, a way to simplify their wardrobe or they find they don’t need a lot of clothing for the colder weather. Perhaps the weather isn’t as cold any more for long periods of time. 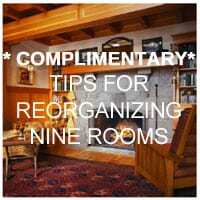 Spring just arrived here so this decluttering task is on my list. It always makes me happy to put the winter clothing away! I enjoy having a new wardrobe without spending any time or money to get it too.